In a few days time we’ll be stepping off our Air Canada flight from Toronto onto the hot, like 41 celcius hot, tarmac at Marrakech Menara Airport. We’ve come prepared to immerse ourselves in one of the most exotic trips we’ve ever taken. And most rewarding, especially for the photographer in me. Capturing the narrow labyrinthine alleys and chaotic bustling souks and madinas, palaces, tombs, riads, spas and gardens is the objective. Snapping portraits of traditional Berber families in the mountain villages. Riding a camel over dunes while capturing the late afternoon sun as it shimmers dramatically on the horizon. It’s all open season for this photographer. Before I start ‘clicking away’ I’ll gladly take an inspirational tour of this museum. A must-see visit to the Museum of Modern Photography in Marrakech will be at the top of our list. 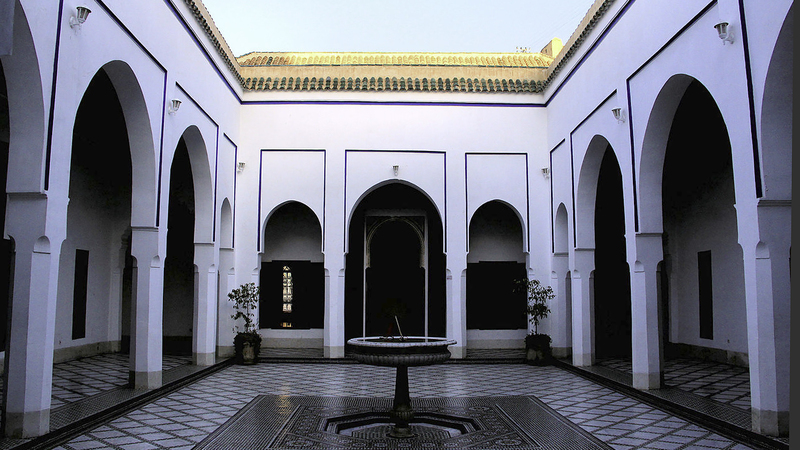 It’s one of North Africa’s largest galleries dedicated to photography. I’ll browse the collection of over 4,500 photographs depicting Morocco’s beautiful countryside, most interesting architectural sights as well as traditional festivals and life in the small villages untouched by tourism. Within this 17th century square the order of the day is chaos, and that’s exactly what excites me and my Nikon. Everywhere you look in the Djemaa el-Fna, drama seems to be unfolding. Hoopla and halqa (street theatre) has been going non-stop while snake charmers blast oboes, fortune-tellers and healers, henna tattooists, acrobats, jugglers, escape artists, story-tellers are everywhere. And food, oh yeah, the food. This is the show you don’t want to miss. As the sun sets and 100 chefs arrive with grills in tow the palace is filled with food stalls each specializing in one particular dish. Like flavoured snails, fresh-cooked sheep’s heads, lamb, fried sole and eel. 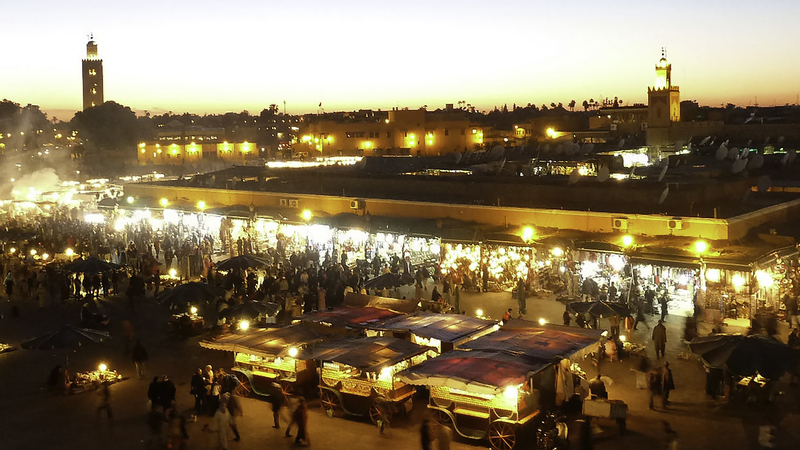 Unesco declared the Djemaa el-Fna a ‘Masterpiece of World Heritage’ site. 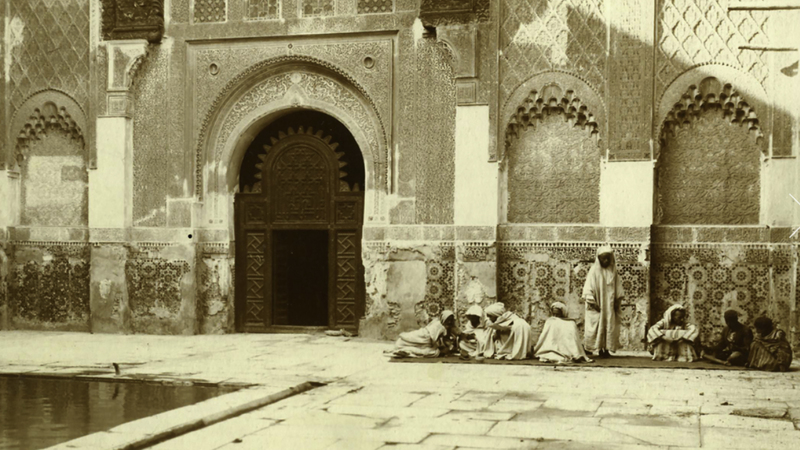 ‘You who enter my door, may your highest hopes be exceeded’ reads the inscription over the entryway to Ali ben Youssef Medersa, and after almost six centuries, the blessing still works its charms on visitors. 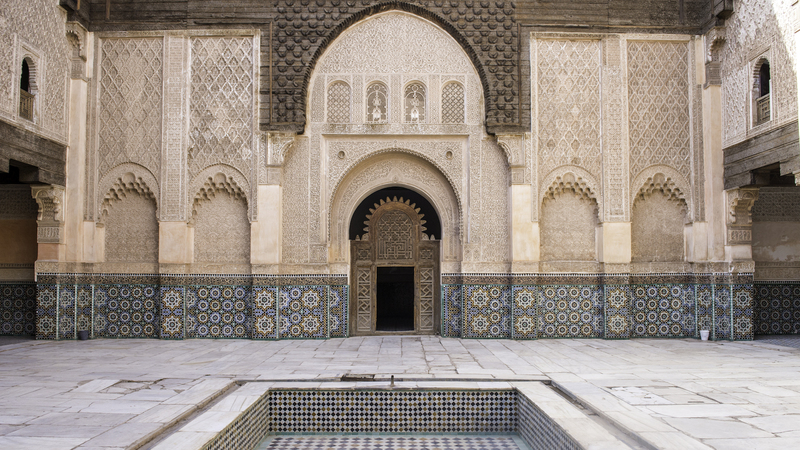 At Ben Youssef Medersa, once the largest Islamic college in North Africa, visitors can wander the college and admire the mind-boggling fusion of design and architecture. This should lead to some amazing images. Yves Saint Laurent and partner Pierre Bergé is the story behind our next destination. In 1980 they saved this beautiful public garden from falling victim to a real estate project and becoming a hotel complex. 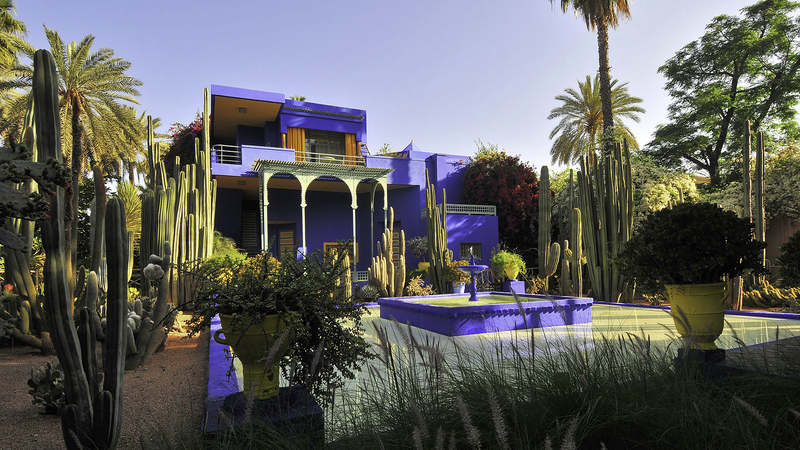 The new owners purchased the property and decided to live in the Villa Bou Saf Saf, which they renamed Villa Oasis, and undertook the restoration of the garden by respecting the vision of painter and original owner Jacques Majorelle. I’ll have plenty of time to snap photos as the gardens cover nearly two and a half acres. 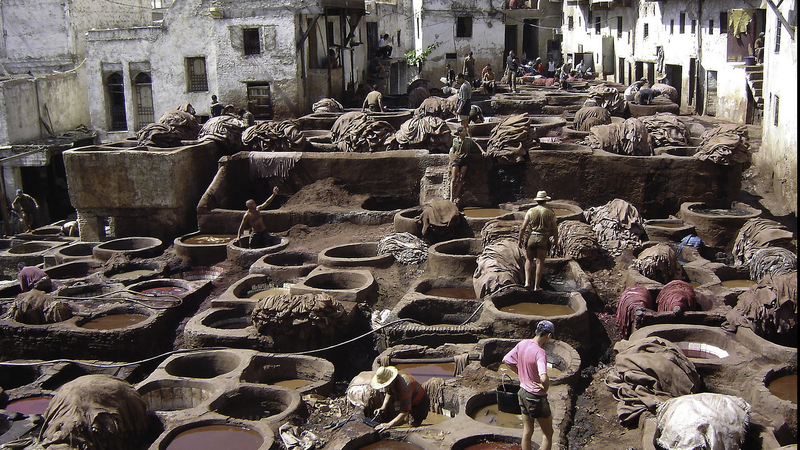 Morocco’s most talented artisans worked for 14 years creating La Bahia (the Beautiful) Palace in the medina of Marrakech. Visitors can wander a portion of the palace’s 8 hectares and 150 rooms. Including the unfurnished, opulently ornamented harem that once housed Bou Ahmed’s four wives. Saadian Sultan Ahmed al-Mansour ed-Dahbi spared little expense on his tomb, combining imported Italian Carrara marble, gilding honeycomb decorative plasterwork with pure gold to make the Chamber of the 12 Pillars a suitably glorious mausoleum. 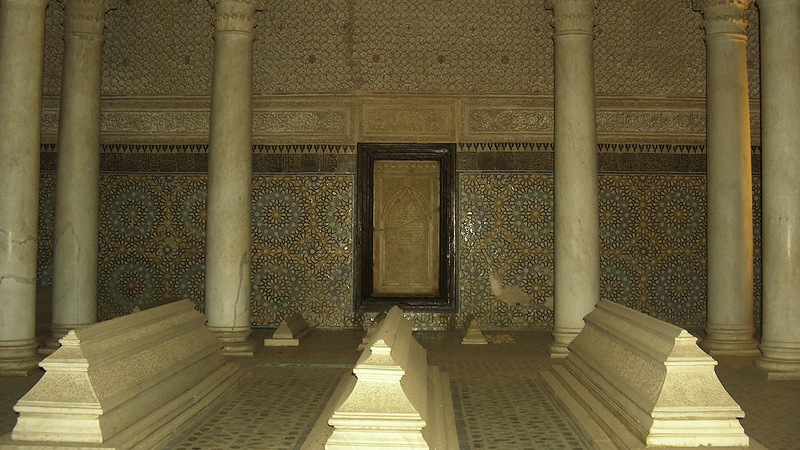 The Saadian Tombs were discovered in 1917 and were restored to showcase these lavishly decorated tombs. Most of the Saadian dynasty and royal descendants are buried within the mausoleums. The enclosure consists of two main mausoleums, with 66 tombs laid out within them and over 100 more outside in the gardens. There may be a few less photo opps available here but I promised Mary that we’d find her an authentic Moroccan hammam. The hammam experience is more than just a visit to the public bathouse. In fact it’s a ritual in Morocco where both men and women are known to frequent on a regular basis. 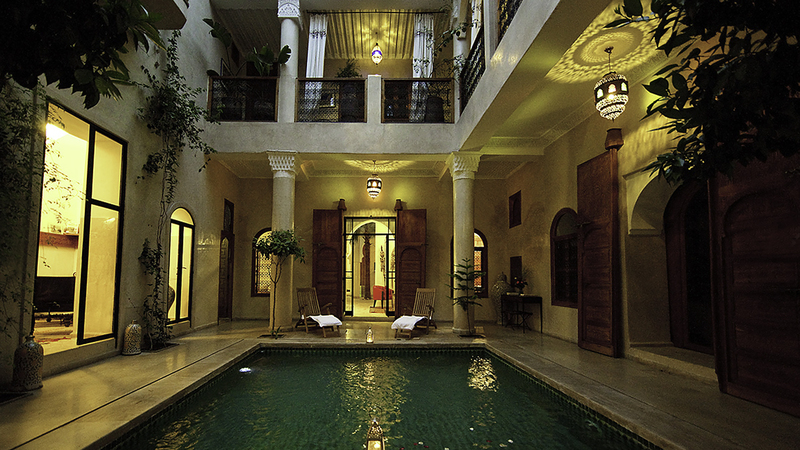 All the reviews for the riad spa-hammam Le Bain Bleu were glowing so I think we’ll pencil them in. 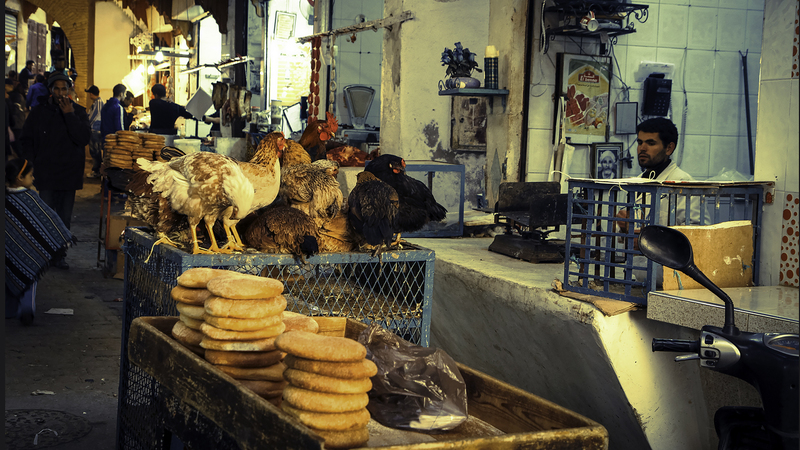 This is one of the most exciting attractions to be experienced in Morrocco especially for photographers. 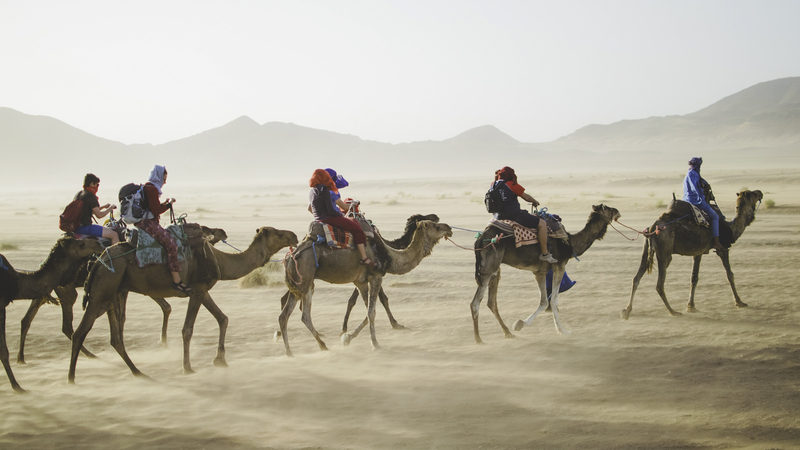 A visit to North Africa would not be complete without experiencing the Atlas Mountains and the Sahara Desert. There are many tours available, most are 3-4 days with private drivers. But, you can get to the mountains on a day trip. On day 3 of our tour we’ll be hiking across the desert on camel and staying overnight in a Berber amidst the sand dunes of Erg Chebbi. I can’t wait to shoot this beautiful landscape first thing in the morning and as the sun sets. 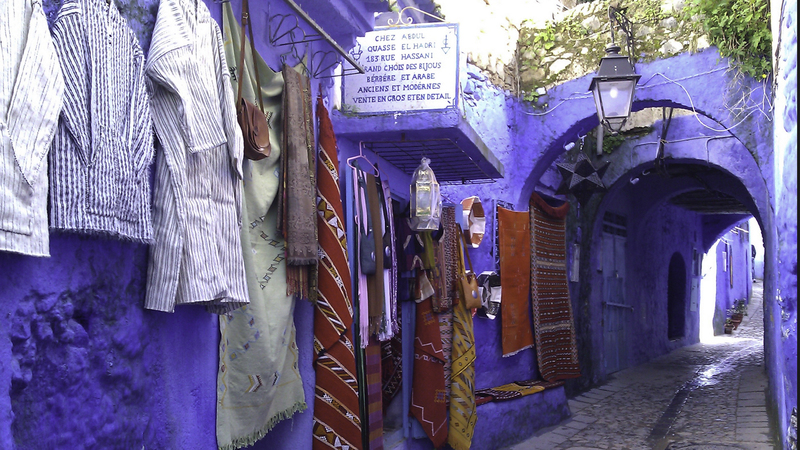 If you’ve been to Morocco and have additonal ‘must-see’ recommendations or photo tips, please pass them on. In the meantime stay tuned to CiaoMary as I’ll be posting (post-trip) a collection of photos from our 3-week experience in Morocco.